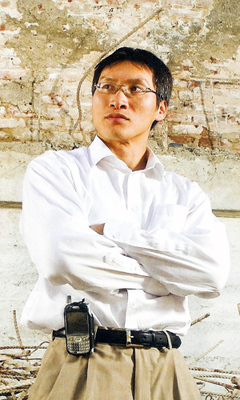 Eddy Zheng (鄭小飛), is a Chinese immigrant who spent 21 years of his life in prison for crimes he committed at the age of 16. Since his return to the free world, Eddy has dedicated his life to serving the youth and communities of the greater San Francisco Bay Area. Eddy is currently a Open Society Foundation’s Soros Justice Fellow. He is also a consultant at the Community Youth Center of San Francisco. He is a Mayor Appointee of the San Francisco Reentry Council, serves on the Board of Directors for San Francisco’s Neighborhood Vision Project, a national advisory board member of the Asian American Law Journal, and co-chairs the Asian Prisoners Support Committee, based in Oakland. In 2007, Eddy led a book project which culminated in the publication of “Other: An Asian and Pacific Islander Prisoners’ Anthology”. Eddy hopes to utilize his experiences to inspire and motivate young people to invest in their education, raise awareness about the detrimental impact that the Prison Industrial Complex has on the Asian and Pacific Islander population, and promote racial harmony among people of color.